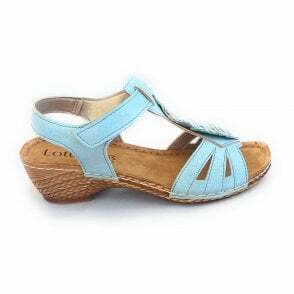 For ultimate comfort and adjustment right across the top of your foot, Sandpiper Cara is the choice for you. 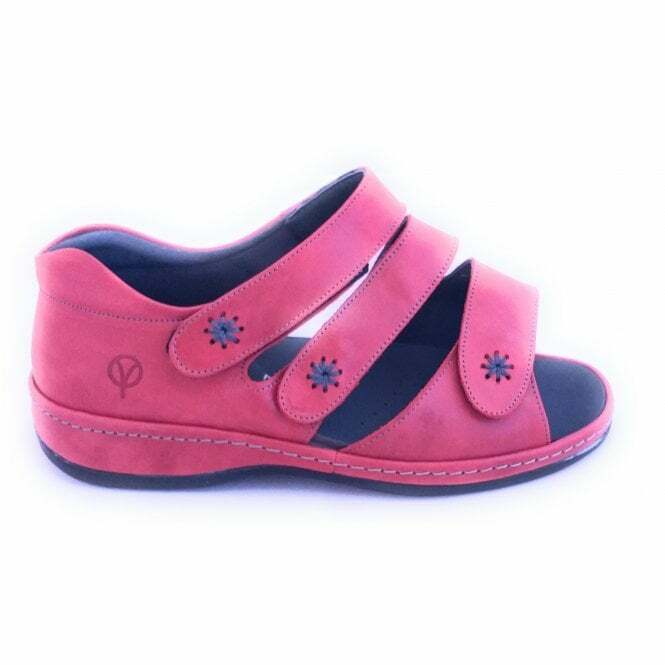 The adjustable velcro straps open right out for easy on and off. 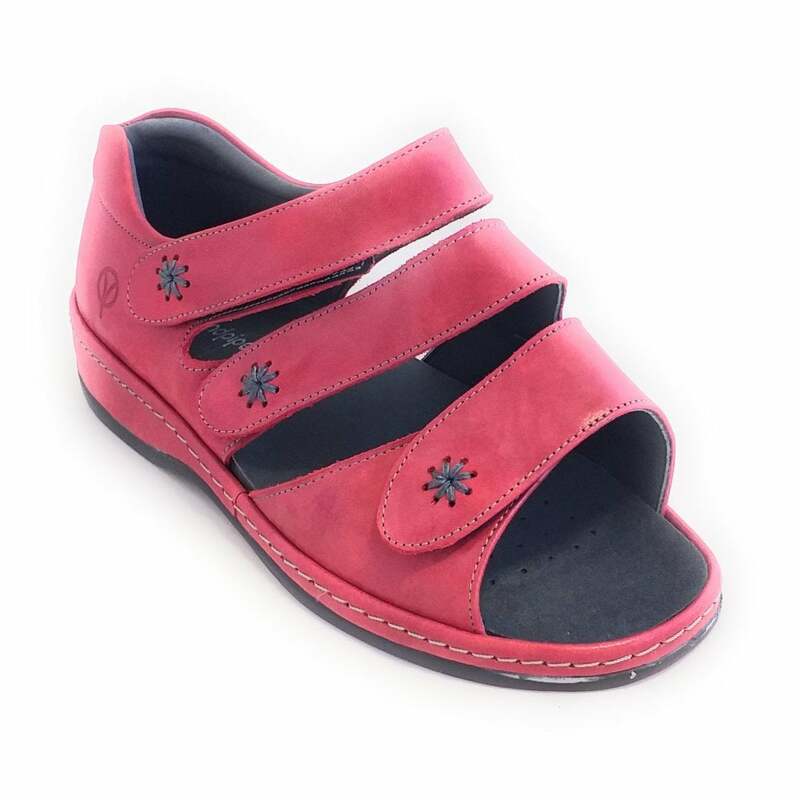 The soft red leather upper features a closed heel design with padded ankle support and cushioned leather insole. 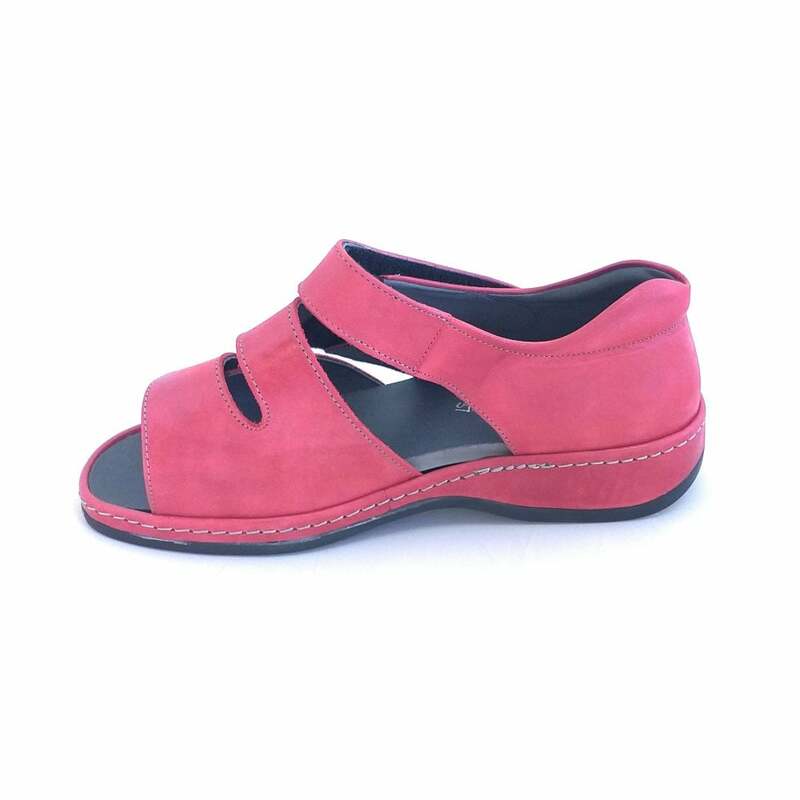 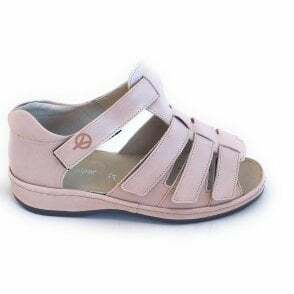 Suitable for diabetics this sandal comes in an ultra wide 6E fitting.